In July 2017, Liverpool announced the signing of Dominic Solanke on a Bosman transfer from Chelsea. Due to the age of Solanke and the fact he spent thirteen years at the club progressing through the ranks in the academy, Liverpool would eventually have to pay a £3 million compensation fee to Chelsea for their work in developing him, small change for both clubs. Prior to joining Liverpool, Solanke had made 27 appearances in the professional game, 26 of which came for Dutch side SBV Vitesse during a loan spell in the 2015-16 season and the one solitary appearance for Chelsea from the bench in the Champions League against NK Maribor. His scoring record on arrival stood at seven goals which all came during his loan spell in the Netherlands. Although, It was following the confirmation of his move to Liverpool when he really caught the eye. He fired the England under 20 squad to glory in the 2017 Under 20 World Cup as he scored four goals throughout the tournament and was awarded the Golden Ball as the player of the tournament. The quality of players that feature on the list of Golden Ball winners reflects just how big an achievement it really was for Solanke: Lionel Messi, Sergio Aguero and Paul Pogba all appear on the list of Under 20 Golden Ball Winners. 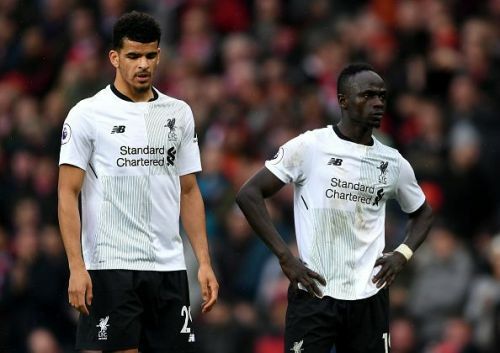 But, Solanke's fate at the age of 21, two years on from the World Cup triumph, is far different from those players. Following his move, he made 27 appearances for Liverpool and mustered just one goal, which was on the final day of last season, ironically his last game for the Reds. Where did it go wrong? Or was it never meant to go right anyway? Fenway Sports Group were brought to fame by their 'Moneyball' project in America which worked ever so well with the Boston Red Sox. Their prophecy is to sign cheap, develop and sell big. It brought huge success for the Red Sox who have been both successful and competitive during the past decade, and it is slowly taking shape at Liverpool. When the group bought Liverpool Football Club in 2010, Liverpool fans feared the model would not work in football and as a result, they have suffered heavy criticism over the years. The FSG Out movement being most active when world-class players were sold and replaced in mass and by players who were not even fit to tie the shoelaces of the departures. The list of players is long, Fernando Torres, Luis Suarez, Raheem Sterling, Philippe Coutinho. Of the listed four, two were signed under the tenure of Fenway Sports Group and sold for a combined profit of £175.7 Million. A jaw-dropping amount. Things are slowly beginning to change at Anfield, with star players being kept hold of, whilst heavy investment in proven quality is also starting to occur. Keeping hold of Mohamed Salah in the summer has proved a wise move, whilst the size of the fees to acquire Virgil Van Dijk and Allison Becker represents a statement of intent that has been missing in the past. However, the Moneyball project has not totally disappeared, and the sale of Solanke to Bournemouth for £19 million sets a trend that is likely to follow in the coming years. Isaac Christie-Davies was one of Liverpool's less publicised signings this summer, but the midfielder followed the same route as Solanke and joined Liverpool for free after his contract expired at Chelsea. The 20-year-old has been nowhere near the first team and has spent the whole season playing for Liverpool's Under 23's, and with the quality and depth Jurgen Klopp possess in his midfield, it is highly unlikely that the situation will change for the midfielder. What is likely to occur is that Christie-Davies will continue to develop at Liverpool until a team becomes interested enough to sign him for a decent amount, once again representing fine business from Liverpool. Ultimately, Liverpool are using the market very shrewdly and maximising their profits in a very intelligent way. The £19 million sale of Solanke proves just how well they are doing it.